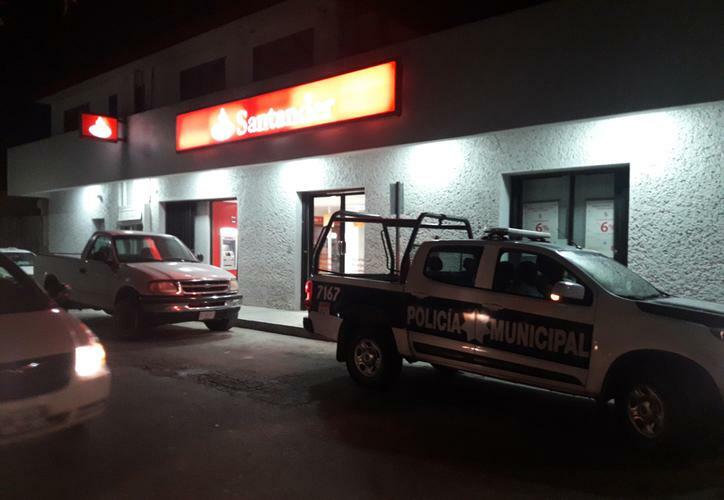 COZUMEL, Q. Roo — On Wednesday Nov. 29, Municipal Police officers responded to an armed robbery outside a Santander ATM, located on 10th avenue on the corner with 3 South Street in Cozumel. The victims of this violent act were tourists, and one of them said he came to the island of Cozumel to compete in this year’s IronMan. The 45-year-old victim told the Municipal Police agents that the thieves took around three thousand pesos that he had just withdrawn from the ATM. According to people who were in the area, the subjects who committed the robbery were traveling on a motorcycle. They fled the scene after committing the crime, and no arrests have been registered so far in relation with this incident.